Nokia fans of old are getting some more fan service this year. HMD introduced a remodel of the classic Nokia 8110 "banana phone," a slider phone originally released in 1996. The classic phone (which was fairly popular due to its curved shape, slide-out keypad cover, and appearance in "The Matrix" movies) gets a new shot at life in the form of a cheap 4G feature phone. For people that miss the glory days of Nokia’s turn-of-the-century triumph are having a great couple of years. 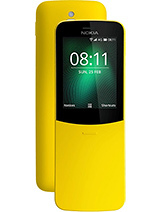 After the success of the revamped Nokia 3310 3G last year, HMD is hoping to capitalize on Nineties nostalgia with the new Nokia 8110 4G, a throwback to the classic slider phone released in 1996. If you don’t remember the 8110, two words should jog your memory: “banana phone.” If you need a little more help, the 8110 was the slick looking phone delivered to Neo in the first Matrix film. Like the original, the 8110 4G will have a sliding mechanism to reveal the keypad, just like the one made popular in that movie. However, this version of the 8110 is a bit smarter than that one. For one, it’s running on a Qualcomm Snapdragon 205 SoC (dual-core, 1.1 GHz), 512 MB (yes, MEGAbytes) of RAM, and 4 GB of storage. While nowhere near the most powerful specs in the mobile market, the SD 205 should be more than adequate for the simple features on offer here. After all, the 8110 4G is a feature phone, or “dumb phone.” While not as versatile as a modern smartphone, the 8110 4G will still have rudimentary app access, including a smattering of Google-centric apps (Assistant, Search, Maps, Calendar, and Gmail), Facebook, Twitter, and Outlook. And yes, Snake is still included. These apps will run on a 2.4-inch 320x240 color screen. The phone’s battery is only 1500 mAh but should be able to go a long while between charges thanks to its power-sipping internals and low-resolution display. Another plus: the Nokia 8110 4G will still have a 3.5 mm headphone jack, which is fast becoming an oddity in the mobile phone world. HMD is marketing the 8110 4G as a simple-solution phone, and it’ll be priced accordingly at €79 (excluding VAT) when it launches globally in May. 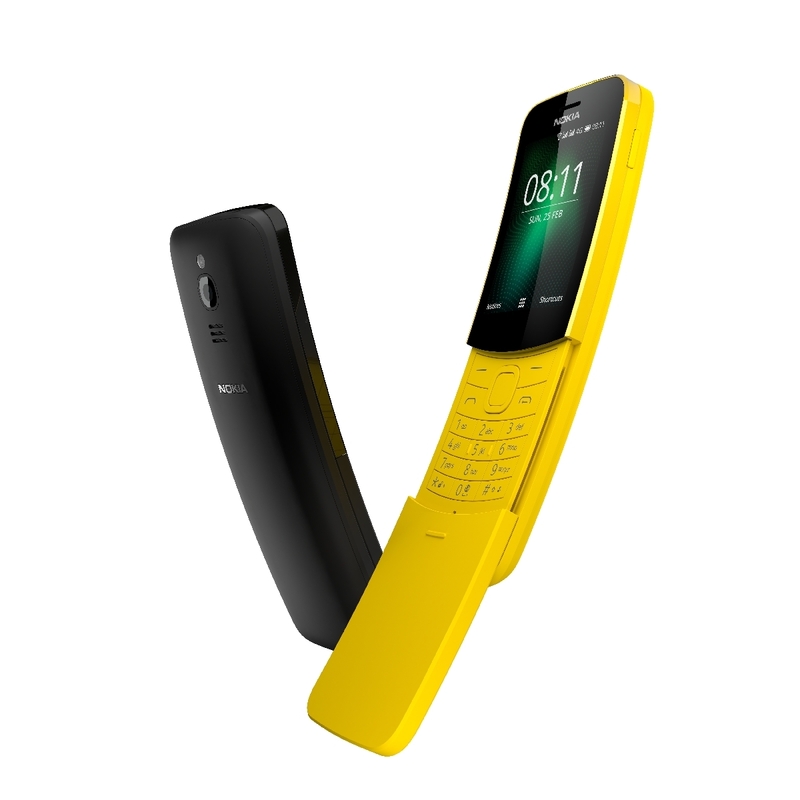 There will be two colors available at launch: a simple Traditional Black and a more vibrant Banana Yellow (likely a subtle jab at the original device’s nickname).